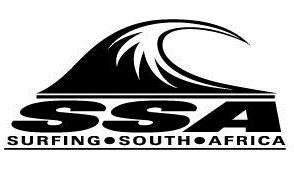 Epic waves and awesome weather at the 2A rated Boss of Moss in Mossel Bay brought the 2018 Surfing South Africa SA Surf Tour Tour (SAST) to a fitting climax at the weekend. The perfect 3 – 4 foot surf brought out the best in the competitors across the five divisions and the third edition of this event will be remembered for its quality surf and quality performances by some of South Africa’s top junior surfers. Leading the way was Ceara Knight (Kommetjie), who posted an impressive 18,34 points out of a possible 20 to win the U16 Girls Final. Caroline Brown (Hout Bay) was second, Summer Sutton (Kommetjie) placed third and Aimee du Preez (East London) was fourth. Mitch du Preez (East London), Knight’s teammate in the 2018 National Junior team, recorded 16,83 points to win the U16 Boys final. BOS Cape Crown presented by Sea Harvest U16 winner, Manoa Robb (Kommetjie), came second and brothers Aya and River Gericke (Wilderness) were third and fourth respectively. Aimee du Preez, the U14 Girls Cape Crown champion, joined her brother Mitch in the winners enclosure when she outpointed South African U12 Girls Champion and Boss of Moss runner up, Sarah Scott (Kommetjie).Talented 11 year old, Anastasia Venter (Melkbosstrand) was third and Olivia Winter (Kommetjie) came fourth. Cape Crown U14 Boys champion, Daniel Emslie, added the Boss of Moss title to his list of 2018 achievements when he beat Brad Scott (Kommetjie) into second place in this division. Christian Venter (Melkbosstrand) came third and River Gericke was fourth. Kai Hall (Durban) took gold ahead of Asha Steytler (Kommetjie) in the U12 Boys division where Rory Dace (Cape St Francis) was third and Joel Fowles (East London) took fourth spot. Daniel Emslie produced two air reverse manoeuvres to take honours in the G Shock expression Session where he won a R4000 G Shock watch for his efforts while Asha Steytler claimed the “standout surfer of the event” award and won himself a brand new Gul Wetsuit. The RYD fun board session saw surfers trying to out perform each other on these unique surfboards. Sharing waves, trading boards, hanging ten and some high quality longboard moves were all part of the fun segment of this event. This final SA Surf Tour event for 2018 offered R15000 in prizemoney as well as ratings points to the 50 or so competitors and included competitive surfing, fun events as well as free stuff from Focus trust Believe and other sponsors. The third edition of the Boss of Moss was a 2A rated Surfing South Africa event and was the final contest on the 2018 SA Surf Tour.